Lets not waste ‘waste heat’! Through our Industry Development team we have a research project underway in our AGGAT research program to collect waste heat information from process industries across New Zealand. The output will be to create a waste heat map identifying waste heat zones across the country. These zones include (but aren’t limited to) refineries, cement works, foundries, food and beverages, dairy, boiler sites, low temperature geothermal sites etc – but we need YOUR input! Through this project we are working more closely with member companies with potential waste heat who want to use it to their advantage – by either producing electricity or more efficient heating systems. Our German secondment researcher Jenny Knittel recently started working on this project and has been visiting sites across New Zealand to understand more about waste heat that may not be so obvious to detect. 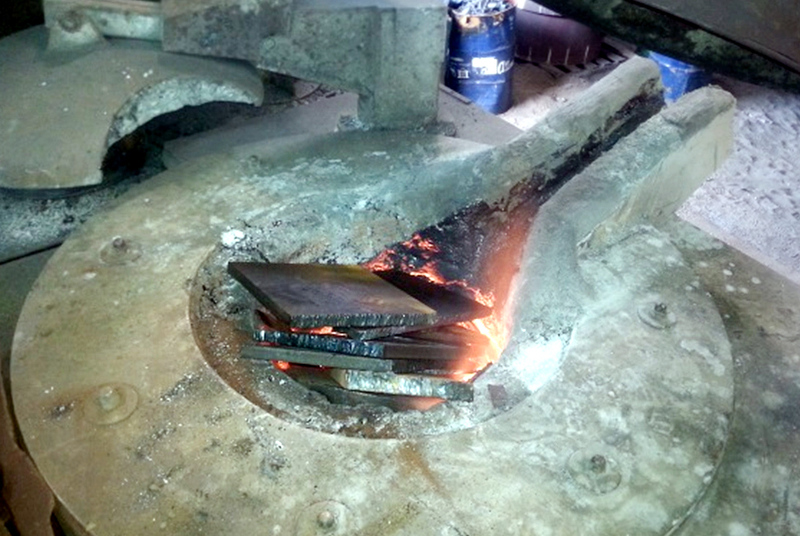 One of our recent visits was to the foundry and casting processes at A&G Price in Thames where we anticipate significant waste heat made available through induction and arc furnaces as well as heats applied in melting preparation. Do you have waste heat on site? We’d love to hear from you! Please contact our Industry Development Manager Dr. Boaz Habib so we can make arrangements to visit your site and learn more about your process. Alternatively, you can also send through information on your heat duties and temperatures for us to analyse if you’d prefer. 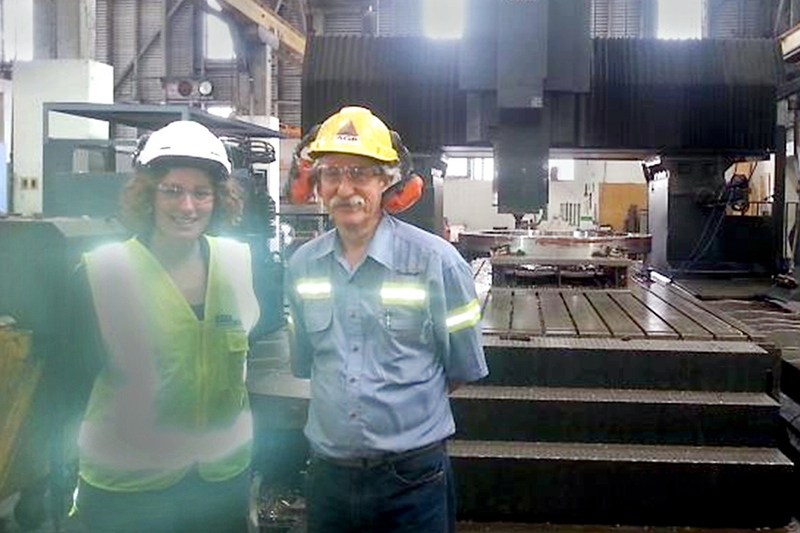 From left: HERA Intern Jenny Knittel with A&G Price Foundry Manager Brendon Davies in front of the largest lathe machine available in New Zealand.